HENRY FORD paints a fascinating portrait of a farm boy who rose from obscurity to become the most influential American innovator of the 20th century. 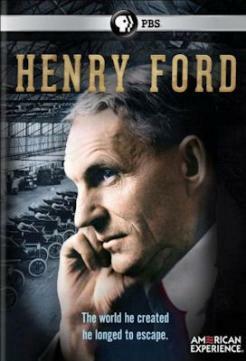 Ford's Model T automobile and his five-dollar-a-day wage ushered in the modern world, earning Ford reverence from millions of Americans. Yet many of the changes he wrought deeply troubled the carmaker. In frustration, he lashed out at enemies, real and imagined, blamed Jews for the country's problems, bullied those who worked for him and exhibited great cruelty to his only son, often, it seemed, wishing to retreat to an idyllic fantasy of the past.